Where’s the best place to eat in Austin? In the streets! Well, not in the streets exactly (you’ll generally find a picnic table or two), but out of a food truck! I wasn’t kidding about those frozen bananas – they are seriously delicious! My first time eating Bananarchy was amidst the screaming metal bands at Fun Fun Fun Fest. 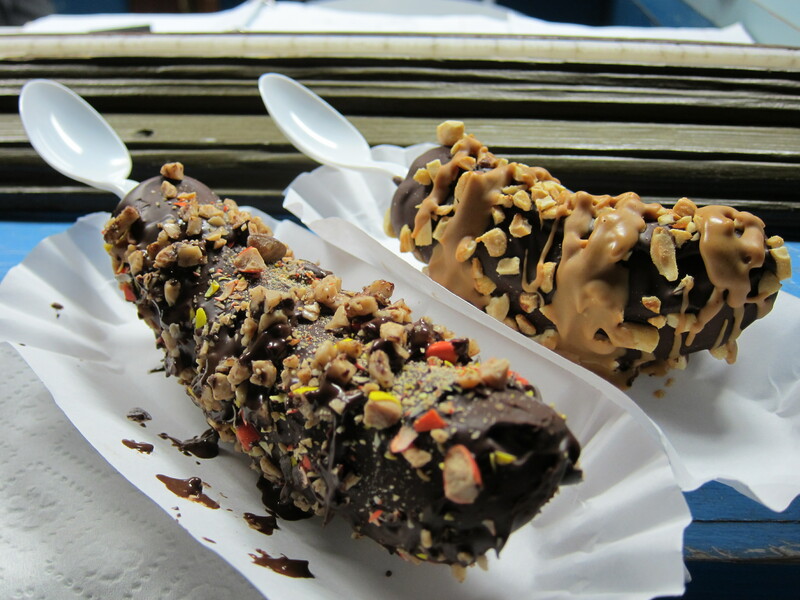 Here’s the deal: you pay around $2.75-3.75 for a half banana dipped in toppings, and about a dollar more for a whole. At #FFFfest, the options were limited but still YUMMY. I had the whole banana dipped in chocolate and graham cracker. Other toppings include Chocolate, Peanut Butter, Vanilla, and Vegan Chocolate (yay! ), with one or more of nuts, cookies, M&Ms, Oreos, Reeses Pieces, coconut, toffee, sprinkles, and cinnamon! I know it might sound silly to pay $4 for a banana that you could potentially freeze and dip in chocolate yourself; but face it, you’re never going to do that and these nanners are SO good, you wouldn’t regret it! Oh my God, tacos. Tacos, tacos, tacos from Torchy’s are friggin’ amazing! Torchy’s Tacos has a whole separate menu just for breakfast tacos. They also have a pretty wide selection of ingredients – tacos with smoked beef brisket, tacos with fried avocado, tacos with slow cooked pork, blackened salmon, seared ahi tuna, and much more. You also get an assortment of salsas and sauces with whatever you order, all of which are really tasty. Oh man, my mouth is watering just writing about these tacos right now. My favorite thing about these tacos is that while everything is dripping with yummy goodness, the tortillas at Torchy’s aren’t flimsy and don’t get soft or break apart as you eat. And that, my friends, is how tacos are done right. P.S. 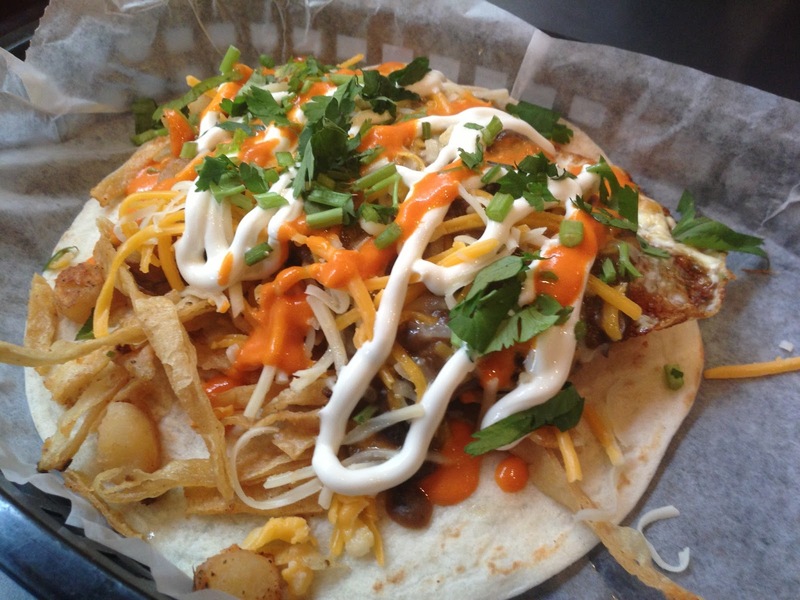 I’ve heard that Torchy’s has a secret menu, which I am hoping to hack into sometime soon. I’ll update this post if it happens! I love Shawarma Point because ever since my semester abroad in Italy, I’ve been trying to find shawarma as delicious as this (seriously). The spiciness levels are three: No Spice, White People Spicy, and Brown People Spicy. I always opt for white people spicy and throw some french fries in it. 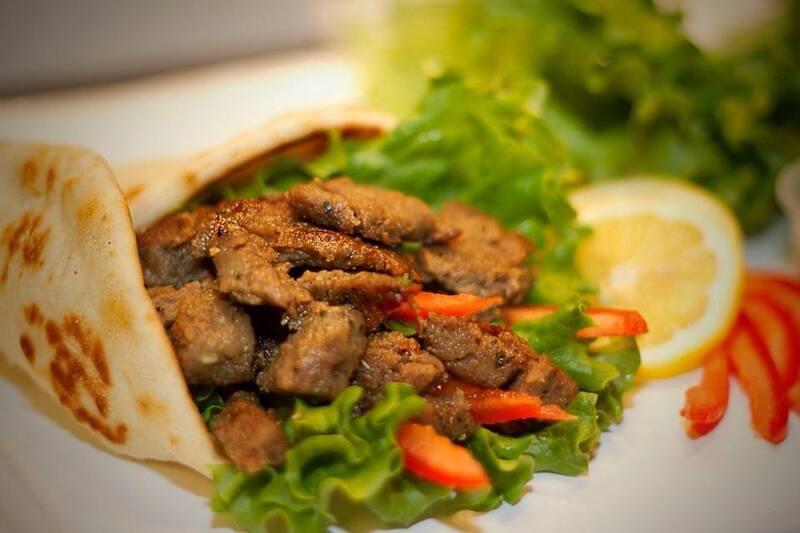 If you care enough about shawarma that you know the difference between a doner kebab and a gyro, then this is the place for you. Another find from #FFFfest. This vegan food truck aims to create vegan food that all people (even non-vegans like me) can enjoy. How do they do it? By employing the one vegan Lays product into their food: Fritos. 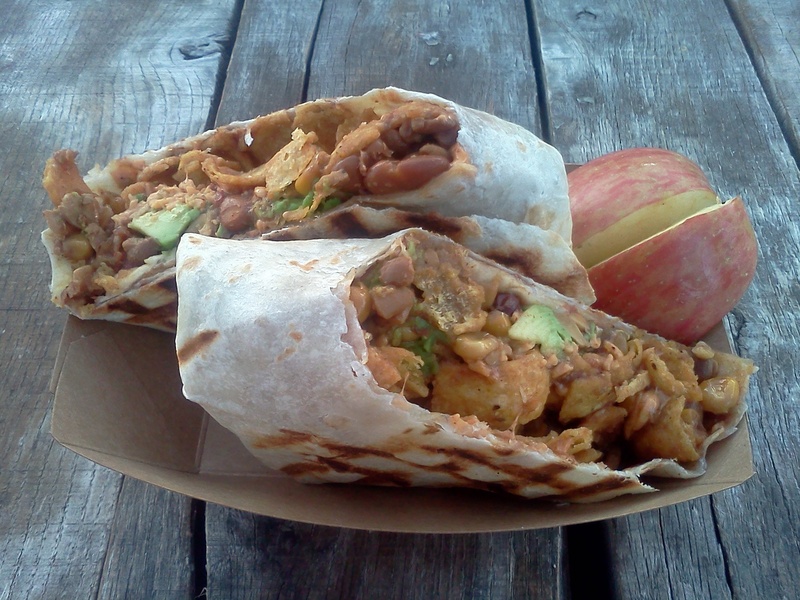 At The Vegan Yacht, you can order either the Freeto Burrito or the Freeto-Pie. I opted for the Freeto Burrito and was not disappointed. The menu has a couple of other mock chicken food items that are worth checking out. Overall, this place keeps it simple and is pretty good! One last thing I would like to say about Austin food trucks is that they are made even better by the incredible Austin delivery service, Favor. This app will send people to pick up and deliver seriously anything you want, and they make it fun while they do it by sending you texts such as “All kinds of deliciousness coming your way!” I know there are other apps across the country that will pick up and deliver from non-delivery places, and I’ve used those apps in Burlington and Cleveland, but Favor is the best one I’ve encountered. So I just had to give them a special shout out – Thanks Favor! Note: Please apologize for the lack of my personal photography in this post as I await the new memory card for my camera.